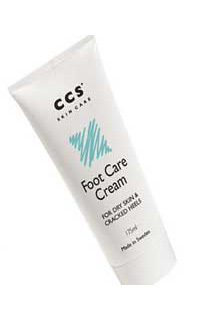 The CCS Foot Care Cream is hypoallergenic, lanolin-free, and suitable for all skin types. Urea is regarded as a true moisturizer rather than a humectants, since it attracts and retains moisture in the corneum layer of the skin. Urea has been found to increase absorption of other active ingredients, relieve itchiness, and help leave the skin feeling soft and supple. When applying Urea to the skin, as opposed to applying a simple emollient, you are essentially assisting one of the body's natural functions - which tends to become more and more necessary as we age.